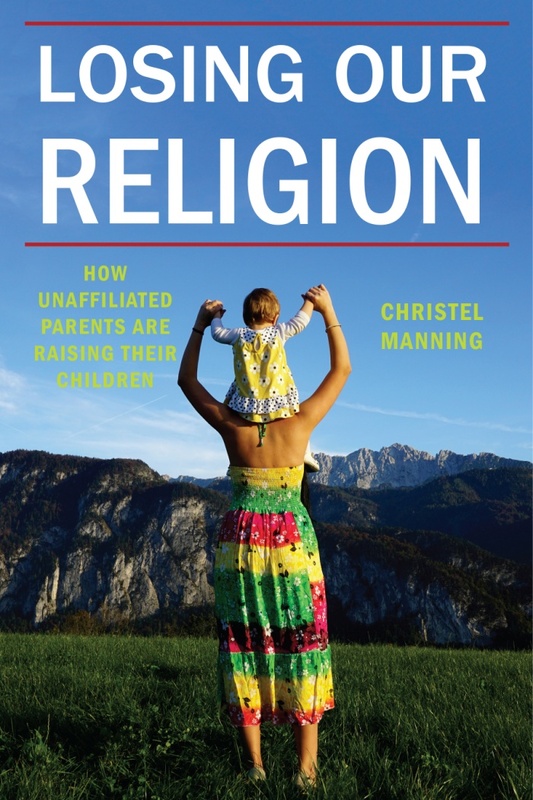 Professor Christel Manning shares some findings from her new book Losing Our Religion: How Unaffiliated Parents are Raising their Children – the first empirically researched book to consider “religious nones” as families, not just individuals. The growth of the “nones” has been called “the decade’s biggest story about religion in America”[i]. Americans, especially young people, are leaving organized religion in record numbers. There are now more “nones” than there are Catholics in the US population, and one third of those under 30 say they have no religion. Ten years ago, most people writing about the “nones” seemed to assume the story was temporary: that today’s “nones” would be like the baby boomers a generation ago, many of whom dropped out of church in their youth but eventually returned to church or synagogue when they married and raised their own families. But nobody was doing the research to find out if that was actually the case. So I decided I would take that project on. Losing Our Religion tells the story of what I found. The book combines existing survey data with qualitative research conducted across different regions of the United States. My central argument is that the surge in “nones” is not merely a temporary rejection of organized religion, but neither is it necessarily about secularization. Being a “none” is really about choice. Americans, especially the younger generation, are asserting their right to choose their own worldview rather than having somebody else (their family, an organization, a tradition) define it for them. And they seek to pass on this choice to their children. The term “none” comes from survey research, when they ask people “what is your religious preference?”, and the respondent says “none”, or “nothing in particular.” But when you actually talk to the unaffiliated, you find they span a wide spectrum of people ranging from deeply religious to very secular. Many “nones” adhere to a secular philosophy of life. There are also unchurched believers, like Jefferson Bethke of You-tube fame, who “love Jesus but hate religion.” There are spiritual seekers who embrace bits and pieces of various traditions and don’t want to commit to just one. And there are “nones” who are just plain indifferent to religion. What ties these diverse worldviews together is a deep commitment to what I call “worldview choice”—a belief that religious and secular worldviews are expressions of deeply personal experiences, and therefore the individual has a right to choose one, or a combination, that best suits him or her. So will “nones” raise their children to be nonreligious? Not necessarily. In contrast to churched parents who usually try to transmit their own religion to their children, “none” parents insist they want their children to choose for themselves. That means providing options, and parents go about this in many different ways. I describe the five most common strategies in the book. But what I found most striking was how deeply committed “nones” were to the narrative of choice. Some even went so far as to follow their children’s lead, providing religious education to a child who seems spiritually inclined while allowing a disinterested sibling to grow up secular! The book examines various contexts and processes that influence how “nones” negotiate these choices. One is, of course, the parent’s own religious or secular orientation. Another is their relationship with spouses and extended family in the raising of children (e.g., a secular Jew whose in-laws want her child to be baptized). A third is the pubic culture of the local community they live in (e.g., an atheist in a Bible belt suburb whose teenagers are being evangelized at school). No matter where “nones” live, they must contend with a media environment that tends to emphasize the positive impact religion has on children. Many parents I interviewed raised questions about this, and for this reason I included a chapter examining the relevant research literature on this topic, and how it should be interpreted. I am myself a “none” parent who also happens to be a sociologist of religion. This project started because I had questions about how I should raise my own child and because I was wondering how other nonreligious people are raising their children. As I talked with more and more “none” parents, I realized that many had similar questions. So it seemed appropriate to write a book that would be of value not just to academics but to “none” parents as well. At one level this means answering basic questions that people have about “none” parents. Who are they? Why did they leave religion? What do they believe and practice instead? What do they want to pass on to their children, and what options are available to them? What are the challenges of letting your children choose? What is the impact of raising children with or without religion? But the book also reflects on this information, raising bigger questions that may challenge the reader. Americans tend to assume that choice is good. Does this mean that more choice is better, especially in religion? What are the benefits and risks of our culture’s ever intensifying orientation towards personal choice? Is this good for individuals or for society? Is it really possible for children to choose their own worldview? There is considerable debate on these questions, and I have tried to give voice to a variety of perspectives. This is the first empirical research based book about “nones” as families (rather than individuals) and much remains to be learned. My hope is to begin a conversation and encourage future research on families who have no religion. Christel Manning is a Professor at Sacred Heart University, Connecticut. Her past research has examined the intersection of religion, gender, and sexuality; and new religious movements. For the last decade, she has researched the rise of the “nones” in America. Her recent book, Losing Our Religion: How Unaffiliated Parents are Raising their Children, has been rated one of the top ten religion books in 2015.